Home / Columnists/ What is wrong with our ailing tea industry and where does its cure lie? At a panel discussion following an evening presentation organised by the Institute of Certified Professional Managers or CPM in Colombo last week, a questioner from the audience put an interesting poser to Anil Cooke, CEO of Asia Siyaka, a leading tea brokering company in the city. Cooke here has looked at tea from a wide angle, an angle which many concerned about it normally miss out. However, Cooke’s wide angle can be developed further into a wider angle. In that wider angle, tea is not only a beverage, but also an essential ingredient for manufacturing medicines, cosmetics and perfumes – three industries which are growing faster than the growth of the global output. When tea is considered from this wider angle, it boils down to a problem of long-term strategising, marketing, inventions and innovations. It is in these four areas where Sri Lanka has failed. The country, while boasting of producing the best tea in the world called the ‘Ceylon Tea’ has not moved even a single step forward from where the industry was left by British planters. It has continued to grow tea, manufacture orthodox black tea and sell to consumers in a selected number of countries either in the form of ‘bulk tea’ or tea in ‘teabags’. Hence, when the market prices depress due to oversupply, adverse regional political turmoil or global economic recessions, the tea growers back at home are forced to undergo enormous economic hardships. If the period is long, many of them become bankrupt. This is specifically true with low country tea smallholders who at present produce about 65% of the country’s tea output. Their woes are then capitalised by interested political parties which create a political issue out of the economic issue faced by the country. The present situation in Sri Lanka is such an economic catastrophe. The average tea price per kilo was $ 3.51 or Rs. 459 at end 2014. This has now fallen to $ 2.80, according to the latest market reports. Despite the depreciation of the Sri Lanka rupee from Rs. 130 per dollar to Rs. 145 per dollar between these two periods, the rupee earnings have been just Rs. 407 per kilo, recording a fall of Rs. 52 or 11%. This price is pretty much below the estimated cost of production amounting to Rs. 434 per kg. If the tea producers are to be elevated to the income level which they had enjoyed at end 2014, the rupee has to depreciate to a level of Rs. 165 per dollar. However, given the increases in labour charges and other expenses during this period, even this level of income support may not be sufficient to sustain the tea growers. Hence, the country has been embroiled in a vicious and expanding cycle of price depression, cost increases, currency depreciation, political capitalisation and further depression of prices. This vicious cycle and political capitalisation do not allow the country to go for long-term strategising for curing the ailments faced by the tea sector. Sri Lanka’s tea suffers from both the high cost of production and low yields. No commodity can compete in the world market unless it reduces its average cost. That reduction comes from increasing the yield levels. 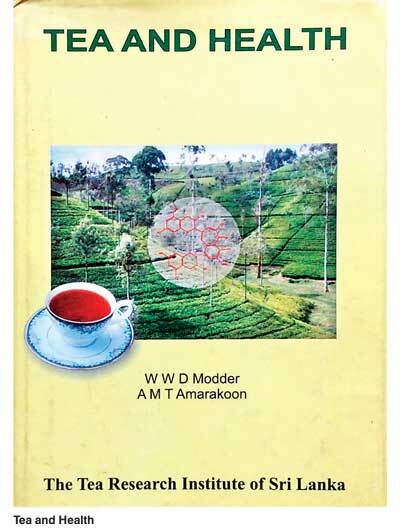 According to Food and Agricultural Organisation or FAO of United Nations, Sri Lanka’s tea yield standing at 1532 kg per hectare is only marginally higher than the world average of 1518 kg per hectare (available at: http://www.factfish.com/statistic/tea%2C%20yield). Thus, Sri Lanka is ranked 26th position in terms of the global tea yields. This has to be compared with high yield countries such as Malaysia (with a yield of 6778 kg or Number one position), Kenya (2177 kg or 13th position) India (2143 kg or 14th position) or Tanzania (1573 kg or 24th position). Accordingly, in a background of high costs and low yields, any fall in the international price of tea will make Sri Lanka sick because it has no back-up resources to go through the crisis. Since price changes occur frequently in cycles, Sri Lanka’s tea industry, though it is the second highest foreign exchange earner after garments, is driven to a high level of vulnerability. Sri Lanka cannot increase its tea yield levels overnight. However, it can increase industry earnings by diversifying its use. The diversification can be in the beverage sector itself as a novel drink, on one hand, and into non-beverage industry sector as an ingredient for producing pharmaceuticals, cosmetics and perfumes, on the other. Both require investments in better marketing and continued research and development. Tea was promoted by British planters and tea traders by using ingenious marketing methods. 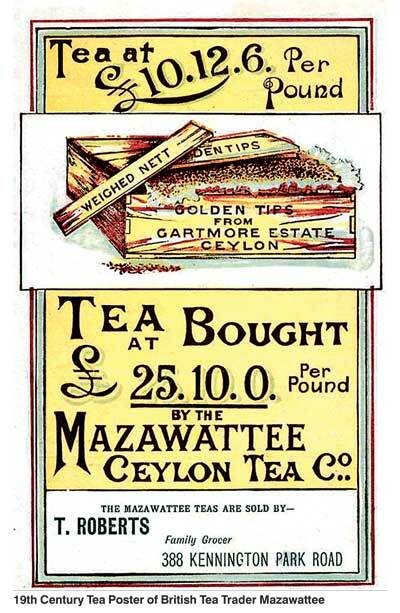 When Ceylon tea began to face competition from other tea producing countries in late 19th Century, it was presented to British and European tea drinkers as a uniquely branded product. A separate tea culture was developed with British and European aristocracy meeting frequently over a cup of tea and discussing many topics of interest. Thus, tea was associated with exchange of new ideas and the British and European aristocracy could not do without it. It was the aspiration of the nouveau riche to become a part of this high society tea culture. Tea was presented to them as ‘a brain tonic’, ‘delicious drink’, ‘panacea for all illnesses’ or ‘a drink that improved one’s digestion’. In the late 19th century, there was another marketing campaign to popularise tea among the working class as well. Since they did not have the wherewithal to buy tea, arrangements were made for them to buy once-brewed tea from aristocrats at bargained prices (available at: http://www.panix.com/~kendra/tea/tea_to_england.html). Unlike coffee, tea leaves could be reused to brew tea again and again; though it reduced the tastes in subsequent brewing, the working class people compensated for the loss of taste by allowing the reused tea leaves to be brewed longer. Thus, through a weaker taste cup of tea, even the working class people were introduced to tea drinking. The ultimate result of these ingenious marketing campaigns was to promote tea as a universal beverage. 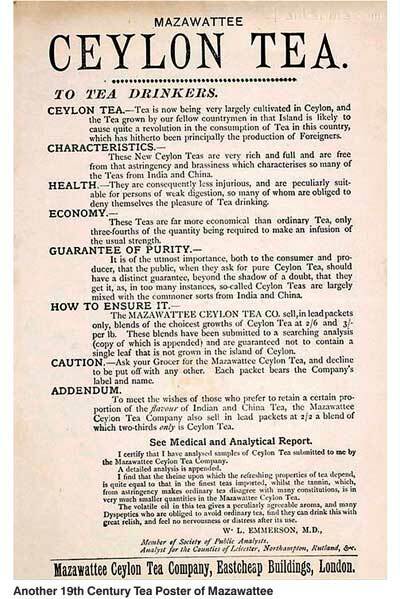 Thus, Ceylon got the market for its tea without labouring anything on its part and remained passive in targeting new consumers. But the competitors to tea ‘as a beverage’ were active all the time in reaching out to new consumers. One such competitor was the soft drink manufacturer, Coca-Cola, which was penetrating the global market almost with an aggressive tone. It had a long-term vision to promote Coca-Cola as the world’s number one drink. In 1986, the Chairman and CEO of the Coca-Cola Company, Roberto Goizueta, made a historic speech before Coca-Cola sales representatives (available at: https://www.youtube.com/watch?v=tpF_-BbaV1g). He said: “Right now at this point in time in the United States, people consume more soft drinks than any other liquid, including ordinary tap-water. We’ll take full advantage of our opportunities. Someday, not too many years into our second century, we’ll see the same wave catching on markets after markets on to eventually the number one beverage on earth will not be ‘coffee or tea or wine or beer’. It will be soft drinks – our soft drink”. So, the Coca-Cola Company took note of the declining consumer tastes for traditional liquids which was naturally happening and reoriented its strategic vision to cut a notch for itself in the new opportunity set that was offering to it in the market. Having such a long term vision is a must for any commodity producer. Sri Lankan tea manufacturers and exporters were all the time happy about living in the nostalgic past of ‘Ceylon Tea World’ – an icon for which they would even fight unto their death – while the market was slipping away from them gradually quite unknown to them. Thus, Coca-Cola started to rope in the young of the world as its consumer base in its new marketing strategy. In fact, the history of Coca Cola, ever since it was invented by pharmacist John Pemberton in 1886, was a story of changing strategies – all relating to new marketing techniques (available at: https://www.youtube.com/watch?v=SG6bFhwFKvU). Initially, it distributed free samples of Coca-Cola to Americans throughout the continent by engaging travelling sales representatives because if someone is to be roped in as a Coke fan, he should first taste its flavour and savour in its unparalleled deliciousness. This is similar to the marketing strategy used by old Ceylon’s tea traders to send teams of sales reps in late 19th century in decorated bullock carts to Ceylonese villages and offer the wide-eyed villagers free cups of tea posing it as a delicious medicinal drink. Coca-Cola then offered its liquid in a specially designed bottle that took the shape of a cocoa fruit to give it a unique appearance. Then, it created the ‘six-pack Coke’, which in later years was emulated by beer manufacturers. This was followed by an offer of Coke in bottles of three different sizes, normal, king size and family size. It was during World War II that it made its major marketing breakthrough. Coke was offered to GIs fighting on war fronts far away from their home country so that they felt as if they were fighting in their home backgrounds. But to ensure an uninterrupted supply, bottling plants were shifted to war fronts, a decision which carried enormous risks with it. But it paid dividends because those returning GIs were unquestionably loyal Coke fans and so were their children who were known as ‘baby-boomers’. Now that generation of captive Coke fans was dying out, it was necessary for Coca-Cola to reach out to the next generation of youngsters to assure a continuously safe market for its products. That was the essence of the vision unveiled by Chairman Roberto Goizueta in the Sales Convention held in 1986: Rope in the youngsters throughout the globe to the ‘Delicious World of Coke’ by the turn of the new century. Should tea marketing ignore the new taste buds of youngsters? This changing marketing strategy of Coca-Cola is an eye-opener for Ceylon Tea. It is losing the market among the young people not only in the wider world but also back at home. It still offers tea as a beverage in its traditional form: tea shops would brew tea in hot water, add sugar and milk and serve tea as a hot drink. Even on a very hot day, this is the way tea is served and therefore it is not a beverage for all seasons. It may be an acceptable form of serving to old tea addicts but not for the young people. Hence, when the old generation dies out, so will Ceylon Tea which has failed to cultivate a new generation of fans. That is why tea is losing ground in the world markets with frequent fluctuations in prices. When the prices fluctuate, so will the incomes of the tea growers back at home. As such, it is essentially a marketing issue for Ceylon Tea when it is presented to the market as a beverage. It calls for innovative marketing tactics targeting the young generations so that they could be served chilled and bottled tea to their taste. At events where young people gather such as sports events, it is this bottled tea that would have a competitive edge over its main rivals. It is time now that tea should be taken out as a comforting beverage. Its health properties have been carefully documented by W.W.T Modder and A.M.T Amarakoon in their 2002 book titled ‘Tea and Health’. They have, in terms of reported scientific research, reconfirmed the 19th century rule of thumb marketing slogan used by British tea traders that it was a ‘panacea for all ailments’. But further research has to be done in order to use tea extracts in pharmaceutical developments. Furthermore, India has successfully used tea for the development of 150 varieties of perfumes as reported by fragrantica.com website (available at: http://www.fragrantica.com/notes/Tea-106.html). In this game, Sri Lanka may have missed the bus to India but scientific research into perfume and the cosmetic industry does not have a limit on the new opportunities available. What is necessary is to have a long-term strategic vision for Sri Lanka’s tea industry. That vision should offer tea as an innovative beverage, on one hand, and use tea extracts in pharmaceutical, cosmetic and perfume industries, on the other. Both these new horizons need further research and development in biotechnology. That ‘need’ can be filled by research outfits like Industrial Technology Institute or ITI with its state-of-the-art facilities in its new abode at Malabe. Thus, it is time for the Government, industry doyens and research outfits to get together and map out a suitable long-term strategy to rescue Sri Lanka’s ailing tea industry.